NEWS FLASH: Kim Heniadis is the randomly selected winner of yesterday’s gift pack! Edith here, enjoying a warm end of winter. I invited Sisters in Crime pal and journalist Mo Walsh to tell us about how to write a press release. I’ve used her template several times with good results. She’s also a crack photographer, and always wears her grey reporter hat when she snaps photos at the New England Crime Bake. What I love about today’s post is that it’s … a press release! WEYMOUTH, MA—March 11, 2016—Authors looking to publicize their books and public events have more success with news releases that connect with their target readers and make it easy for editors to say Yes, according to mystery writer and veteran news reporter Maureen “Mo” Walsh. “Your news release is not about you—it’s about why readers should care about you and your book. That’s what news or features editors think when deciding whether to use your release or, even better, assign a reporter to interview you,” said Walsh in a March 11 blog post at www.wickedcozyauthors.com. Walsh has published short crime fiction in Mary Higgins Clark Mystery Magazine, Woman’s World, and five anthologies of Best New England Crime Stories from Level Best Books; and is a coauthor of the mystery trivia book A Miscellany of Murder (Adams Media, 2010). Walsh worked in advertising and public relations and now writes features for the Gatehouse Media New England newspapers. Create a Publicity Profile for your own use, listing everything you can think of about you, your book, your characters (they have connections, too); local, regional, and major media. Include a short bio (75 words) and a longer one (200 words), plus book cover blurbs and reviews. Walsh provided sample questions to create your profile. Paragraph on notable award(s), brief description of series or protagonist, latest book title and plot. Paragraph with interesting author quote. Paragraph with brief bio, hitting most intriguing highlights. Hi-resolution author headshot with photo credit; JPEG photo of book cover(s). Not-for-publication phone numbers and email for media to contact. Start with Connections You Have: hometown, alumni, employer or industry, special interests, religious or service organizations, military service, etc. What publicity outlets can you tap through these connections? “Frame your news in terms of these relationships,” said Walsh. “You are not just Author X, you are ‘Long Beach native’ or ‘Gardening enthusiast’; ‘Clinical psychologist’ or ‘member of the Hull High School Class of 1996’. And be prepared for follow-up questions or interviews with details about those connections.” She provided a colorful graph of such connections. This can all sound like very dull stuff, Walsh admitted. “It comes alive when you fill in all the blanks with lively description of your book and characters, interesting details about your life and interests, and quotes from reviews and your primary reader—you!” Walsh kindly provided some real-life press releases. Mo will check in today to answer any questions or comment on any sample graphs you’d like to post. 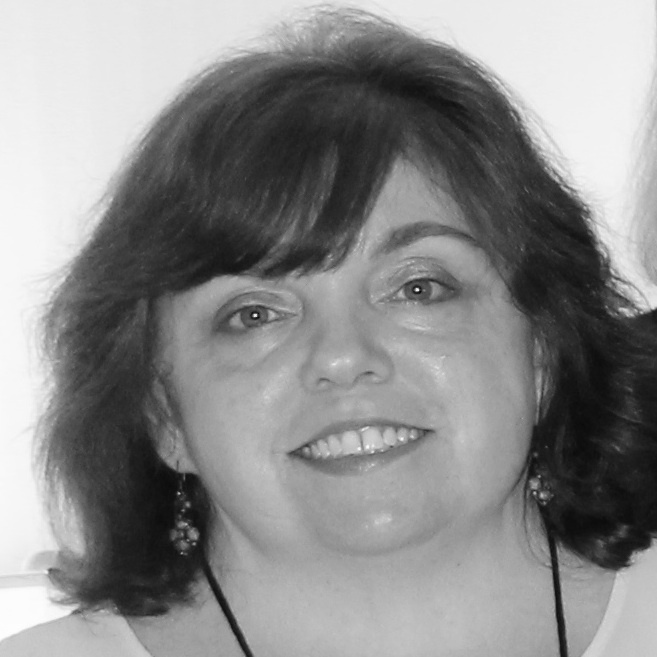 A past board member of Sisters in Crime New England, she is current VP of Mystery Writers of America-New England and works on publicity for the New England Crime Bake conference. Readers: How did it go when you wrote a press release? Have you read or used good ones – or bad ones? What did you learn? Do ask Mo questions – she’s an expert! Next How Do Writers Really Feel about Reader Reviews? Thanks for this great post, Mo. Writing a release used to seem daunting to me – until you shared your Crime Bake template with us. I saved it and have used the bones of it several times since! I’m so glad it has worked for you, Edith! And thanks for the invite to post today. Hi Mo, Thank you for your tips on writing press releases. You’ve inspired me to tackle a task I’ve dreaded and kept putting off. BTW, I have a well-thumbed copy of A Miscellany of Murder, which I like both for the content and the engaging layout. This is so generous of you, Mo! Thanks for sharing such useful and well conveyed information! I really appreciate it! You’re welcome, Jessie. I appreciate the chance to share with fellow authors! I’m getting ready for another book launch so this is perfect! Congratulations, Sherry! You’ve come a long way, baby, since Friday night before Crime Bake 2005, when we were two newbies sharing dinner in Lowell. I’ll catch up! Mo, thanks for such great advice — and samples– on press releases. I wrote my first press release about three weeks ago, and had to use online samples as a guide. I made it fairly short, and I think it was decent, but after reading this post I feel sure that I can make my next press release ever better! Thanks, Linda! Short is good, but you want include some flavor with the meat. I hope this helps! You will need one some day, Mark, so you can start working on your profile meanwhile. then it won’t be such a big job when the time comes. Good luck! Mo, thanks for the great information. I’m on deadline for Aggie Mundeen Mystery #4 (too early to announce), but an earlier book won an award. Is that appropriate for a press release? Nancy, absolutely include the award(s)! You would start out with “Award-winning mystery author and (Connection, such as ‘hometown native’ or ‘Book Publishers of Texas founder’) Nancy G. West launched the fourth book in her Aggie Mundeen series, “Dead Whatever” (Publisher, Year).” You could also move the Connection to the beginning and then say “award-winning Aggie Mundeen mystery series.” The important thing is to get it at the top of the Inverted Pyramid and then layer in the details in the third or fourth paragraph. The amount of detail you give on each award depends on the publication and how much they are likely to print of your release. Always include the most prestigious or best-known to the audience for your release. You may want to briefly describe lesser-known awards, such as “the Gold Award from Blether Book Reviewers.” If it doesn’t make your release too long, you can include more award or career details near the end of the release, or, as you always, always, always should do, say “For more information on West’s award-winning novels and professional achievements, visit http://www.nancygwest.com.” Congratulations! Thank you, Mo. You make things sound a lot better than I could. Nancy I think I fixed it! Sorry, my confusion as the poster. Not your fault, Edith. I sent two identical links for different parts of the post. Thanks for the fix! What a helpful post! Thank you, Mo and Wickeds! I have written countless press releases for others (non-authors), but this focus on publishing was wonderful. By the way, I had the same problem with the sample questions link that Nancy mentioned. Would love to see them, too. The link is in my comment below. Sorry about that, Susan. As you mentioned, there are different types of news releases for different purposes, but one principle is the same: Why would someone reading THIS publication or website want to read it? Oops! So sorry, everyone. I sent the same link twice. Here is the Dropbox link to the publicity questions. This one is geared to Crime Bake, but the principle is the same for any “news peg.” And you should have news! What details can you include about your book, your launch (where and when, etc. ), author appearance. Perhaps one of the moderators can substitute this for the wrong link above? Thanks! I asked my last publicist to write me a press release and she said (despite the big bucks I was paying her) that no one used press releases anymore. I asked her write a brief something I could send to libraries and bookstores. She said it was all social media now. I am so glad to have this primer so I can write my own press releases–though I would far rather have Mo write them for me. Are you available, Mo? Thanks, Wickeds, for sharing this. Hi Kate – You point out something I should mention. Today’s “news release” is not sent by mail but by email, primarily to print media or to the producer of a radio or TV PROGRAM. Few broadcast programs feature writers, and those will be on local stations. Do your research! You can include a short message before the release itself, indicating your familiarity with the program and what you’d like to share with listeners/viewers in terms that apply to that program. Then refer them to the release below and include your contact information in the note. Sorry I can’t go into the release-writing business–too little time for fiction now! Thank you! I’ve not had any success doing this, but now I’ll try again, with your help. Keep working those Connections, Kaye, and it will get picked up eventually. Good luck! I chanced on both the Wickeds site and your post by accident when checking it out for a joint blog of which I am to be a part. So useful – thank you. In the UK we have far fewer local radio and tv stations, and local newspapers – most are online. I used to write press releases for musicians and the theatre, but now in the age of social media they aren’t needed so much. Wondering now if I should relocate…! Glad you could stop by the blog, Lesley! Great post, Edith. Mo, thanks for all the excellent information. I hope I’ll need it sooner than later. As a multiple Flashwords! winner, Margo, you’ve got the chops, as they say in jazz. Just keep writing! Late to this party–what a great and useful post! Thank you Mo!